Days before its official unveiling at Mobile World Congress on February 21, an online Samsung video shows water-resistant and wireless charging features of the next-generation flagship Galaxy S7 Edge, the sister of the Galaxy S7 smartphone running Android. Meanwhile, LG has officially announced a 5.7-in. display G4 Stylus 2 smartphone running Android 6.0 (Marshmallow), with a thinner pen tip on its stylus for notetaking and drawing. 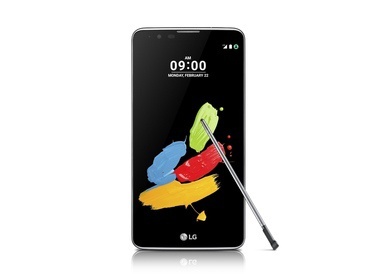 LG Stylus 2 will be unveiled next week in Barcelona along with a slew of new smartphones from Samsung and others. LG also announced a mid-priced X series of smartphones that are "designed for customers who do not want or need all the bells and whistles that come with today's high-end phones." Meanwhile, LG's high-end LG G5 smartphone will have an "always-on" display, as the company teased last week; it is also rumored to include a large battery that can be removed via a slide-out tray at the bottom. All the LG models will be on display next week at Mobile world Congress (MWC) in Barcelona. Such pre-show leaks and pre-show announcements are clearly designed to stir up public and press interest, analysts said. That's because of the basic similarities among Android devices and the stiff competition from multiple vendors to show off their unique features to buyers amid slowing growth in the smartphone market. Samsung Indonesia posted a YouTube video on Feb. 12 of the Galaxy S7 Edge that depicts the device as water-resistant and capable of wireless charging. An official Galaxy website includes the same video. In the Samsung video, Dellie Threesyadinda, a star Indonesian archer, is shown lifting the S7 Edge from a wireless charging pad and using it with a wirelessly paired Gear S2 round-faced smartwatch -- before running through a forest as rain pours down on the device. The market for the stylus-equipped G4 Stylus 2 is considered by analysts to be a smaller market than mid-priced phones or even top-of-the-line phones like the G5 or Galaxy S7. Still, much of the market's attention remains on high-end phones because they tend to include the biggest advances in chip sets, memory, displays and batteries or even unusual pressure-sensitive displays and newer security features; they also bring the greatest profits for their makers. So far, Apple has achieved enviable profit success with an assist from its iPhone models, but Samsung is still the biggest maker of smartphones globally; both Samsung and second-place Apple are feeling pressure from Huawei, Lenovo and Xiaomi, also in the top five. As announced, the G4 Stylus 2 will include a 1.2 GHz quad-core processor, a rear 13-megapixel camera and a front 8-megapixel camera. The 3,000mAh battery will be removable. Official pricing and availability haven't been announced for these upcoming smartphones. However, analysts and various leaker websites expect the S7 to cost about the same or even 10% less than the $700 price for the S6 launched a year ago. The S7 Edge is still expected to cost $100 more. As with the other Galaxy models, all the U.S. carriers will ship the newest S7 and S7 Edge devices; Gizmodo and others have predicted a March 11 shipment date. Samsung fans have noticed that the S7 and S7 Edge will look very similar to the S6 and S6 Edge, although slimmer. The S7 Edge will reportedly get a 3,600mAh hour battery, allowing 17 hours of continuous vide playback time, according to the International Business Times and others.